From a 1959 S&S design (#1497) to the MORC rule. Similar to the O'Day version. 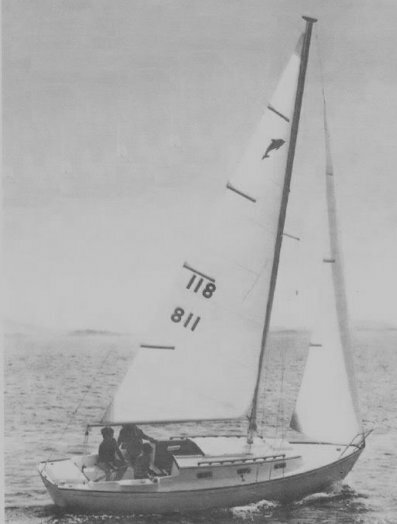 (The earlier hulls for the YANKEE DOLPHIN where molded by O'Day. Yankee eventually used one of these to built its own mold.) This design, with some modifications, was built by a number of builders. A wood predecessor was called the MERMAID 24.